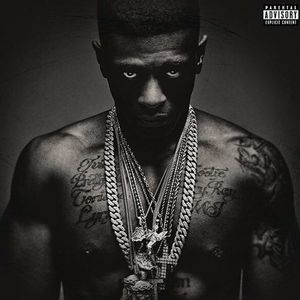 Boosie Badazz has just released another track from his forthcoming album “Touchdown 2 Cause Hell.” Since his release from prison last summer, Boosie has consistently dropped hot music. In the fall, he released a mixtape called “Life After Deathrow’ and appeared on many featured singles. Last year the Baton Rouge rapper sat down with HHE’s Dennis Byron (EIC) and spoke about his time in prison and what the future holds for his career. That interview garnered close to a half million views making it one of hip hop’s best interviews. On “All I Know” featuring PJ, Boosie Badazz shows off a brighter side to him, while using money as a shield against anything negative like haters and rats. TYGA NEW SINGLE "HOLLYWOOD NIGGAZ"
RAY J FEAT. LIL WAYNE "BROWN SUGAR"
TEENEAR F/ SAGE THE GEMINI "FRIDAY NIGHT"